Dutch urban country & bluegrass duo from Utrecht. Thickshag & Marty have been friends for years. They recorded a country EP in 2007, with hilarious fresh and sticky country/newgrass tunes from a Dutch perspective, using acoustic, electric and lapsteel guitars, mandolin and a rough dark voice. 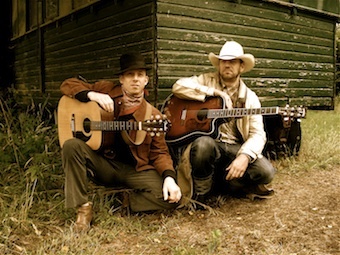 ThickShag & Marty play an original mix of country & bluegrass evergreens, covers and hootin' and hollerin' originals.